The last two weeks with the new baby have been tough. She’s been sleeping a lot less during the day, and has been fighting going down for naps. I’m hoping it’s just a phase she’s going through, but I’ve been struggling with ways to keep Liam busy and still interact with him in a way similar to what we did before Nyah arrived. Liam is so smart, and loves learning new things, so I thought I would share our top five favorite things to do with him right now. Liam has always loved to read, so we’ve continued going to the library and to story times around San Diego. One of our favorite story times right now is at Pigment in North Park. The story time takes place every other Wednesday at 10:30am and is so adorable! They incorporate music and “happy hour” with the stories and it makes it so much fun for the kids and the mommies. Huge bonus – they have coffee and balloons! One of Liam’s favorite books that they’ve read is a version of Old MacDonald had a Farm & it’s perfect because at the end of the story Old MacDonald has a baby! We’ve been doing a lot of art projects as well. I have a bin full of art supplies like construction paper, glue, markers, crayons, finger paint, etc. I lay out some paper on the kitchen floor and let him go to town – if he accidentally gets paint or marker on the floor it’s easy to clean. We’ve also been doing a letter of the week, where he chooses & decorates the letter, and then we find the letter in our stories and learn different words that start with that letter. Liam really enjoys it and it’s become a fun game for him. Here is a fun animal alphabet printable I found on Pinterest. If your toddler is anything like mine, they LOVE to help. Liam is our big boy helper. Today he went to Costco with Daddy and helped do our grocery shopping, and took the recycling to the recycling center. A couple of his favorite activities are sweeping and vacuuming – he could do it for hours. These beauties are the perfect size for our little toddler helper, and he loves to help with his very own “sweeper” and vacuum! This goes along with loving to help – Liam has been helping me in the kitchen more. He will help mix up pancakes in the morning or we’ll make something like cookies or banana bread. I’ll measure the ingredients, and he will pour them in and do the stirring. We spend a lot of time listening to Toddler Radio on Pandora, and singing along with any number of our instruments. I like this music set from B. Toys and Liam also has a little toy guitar that we got in Mexico that he loves. We also signed Liam up for a music class at Nightingale Music – this session they are learning songs for the holidays and it is adorable! I hope this helps some of you mamas with new baby #2 in tow. If you’re a mom of multiple children, I’d love to hear what worked for you in the beginning weeks when you were still figuring out a routine. 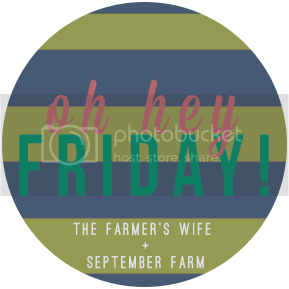 I am also linking up with April and friends for 5 on Friday and Karli for Oh, Hey Friday. This entry was posted in Five Things, Parenting and tagged five things, toddler activities.